Updates on upcoming workshops or events. Here are some expressions of interests we have received recently, if you would like one of these to be held in your community please contact Anita on manager@ksbs.com.au. Let us know what times and dates would suit you best. This is to advise you of the upcoming annual general meeting of the members Kimberley Small Business Support. 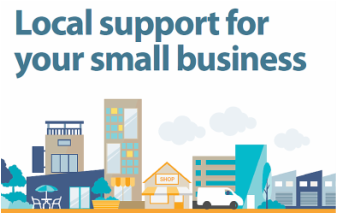 Business Local advisers provide free advice and guidance to help grow your small business. Look out for our TV ad running in regional areas. Click on link bellow to learn more. Members: please be advised of KSBS' upcoming Annual General Meeting, to be held on 27th October, 2015. Effective boards need effective people. This FREE interactive workshop includes how to put together a strong board and run a successful AGM.